Today marks the end of the Freelance Success/WordCount Blogathon. If not for the Blogathon, I might not have started this blog. Because of the Blogathon, I won’t end it. The Blogathon has become an annual event in which the participating bloggers set their own challenges and set out to reach them. An overall goal for all the bloggers — if they choose it — is to blog every day. Blogging daily requires the discipline to Velcro your shorts to your desk chair to get it done, creativity to try new ways of blogging and stick-to-it-iveness to come up with enough blog ideas to cover each day of the month. Like marathoners, blogathoners hit a wall around the halfway point; some get a second wind and keep going, others slow down or drop out. As you can see by this site, I made it all 30 days. 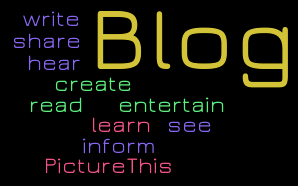 In fact, all you’ll see on the California WildWoman blog site right now is the Blogathon. That’s because this event kicked off my blog. It was fun! Now I don’t want to sit on the sidelines anymore: I want to keep blogging. I may take a few days off to sharpen the blog’s focus and to decide how often to write. My new goal will be to entertain you while also informing you, but not necessarily to race. Thank you for this journey through June. I very much appreciate your views, visits, likes, comments and support — and I’ll see you again on Fourth of July weekend! Iggy says ‘bye for now!